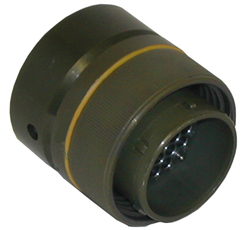 The MIL-PRF-28876 connectors were designed specifically to be tight toleranced fiber optic connectors with the environmental protection and corrosion resistant properties to withstand the rigors of marine tactical deployment. They have become the universal standard fiber optic connector for all of the US Navy’s tactical requirements for shipboard, surface and submarine applications. 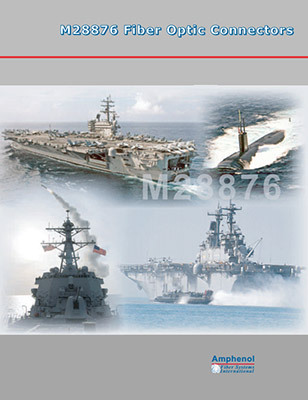 Amphenol Fiber Systems International (AFSI) is a leading producer and supplier of M28876 connectors to the US Navy and allied navies around the world. We offer the most complete suite of M28876 connectors, backshells and dust caps as well as QPL MIL-PRF-29504/14 and /15 termini available anywhere. Our stringently toleranced and precision machined connectors, manufactured at our state-of-the-art, ISO 9001:2000 certified factory in Allen, Texas, are designed to provide superior optical performance in the harshest of environments. Amphenol Fiber Systems International manufactures a complete line of circular fiber optic connectors including M28876 connector. 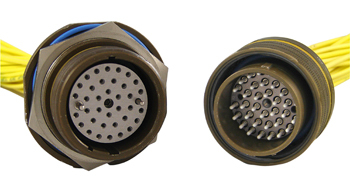 NGCON Fiber Optic Connector features a rear release termini, genderless termini and it is a military standard compliant.